The term innovation is bandied about a lot—it has even been dubbed the most overused word in America—but what does it actually mean? And what does it look like in the public sector? We’ve been asked these two questions a lot lately, as we speak at events and talk to public sector staff across the country. The short answer is that innovation simply means changing the way things are done. In the public sector this could be something small, like introducing stand-up meetings each morning. Or, it could be something big, like developing a piece of public infrastructure or rethinking a significant policy. "Innovation can be a scary word but it doesn’t have to be..."
In many ways, the public sector has championed innovation. In Australia, this has been demonstrated through internationally renowned projects, such as the work performed by the CSIRO to bring Wi-Fi to the world or, more recently, through the adoption of the National Disability Insurance Scheme. And, as an article in The Conversation points out, innovation is now formally embedded in Australian Government policy. Like in all industries, factors such as a lack of resourcing or an unsupportive culture can inhibit innovation. The public sector also faces unique challenges, such as short election cycles and high levels of public scrutiny. Thankfully, there are already sections of the public sector (parts of the VPS, for example) that are creating supportive cultures to overcome some of these barriers, and it looks like many more are following suit. We're excited to see the changes this will help to create. 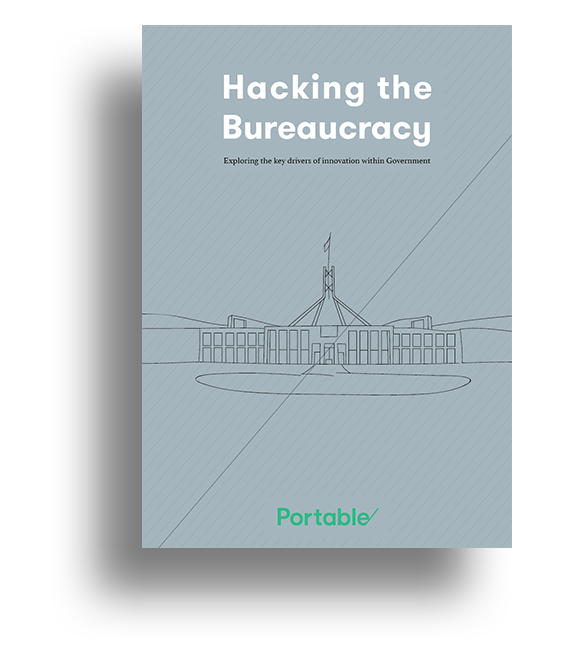 Check out our report Hacking the Bureaucracy. And, keep an eye on our Twitter to see where we’re speaking next, or reach out if you’d like us to talk at your next event.